Disorder – Joy Division (Unknown Pleasures). Great start to an undercaffeinated Friday morning. There’s something about the starkness of this early Joy Division song: the extremely dry studio production, the guitar all fifths and fourths, the great Peter Hook bass line moving frenetically around the guitar in sixths, and the way the song completely comes apart with Ian Curtis’s frantic “I got the spirit.” I could listen to this song all day. And have. Grandma Brackbill Dec. 1978 w/Ralph Homsher (track 4). This is an odd one, but a cool one. It’s an interview with my great-grandmother Esta Leaman Brackbill when she was 91 years old, conducted by my great-uncle Ralph, that our family recently digitized. Not a lot of revelations, but a fun retelling of the story of the man who got drunk and tried to burn down Uncle Frank Leaman’s barn and was caught on the porch of my great-grandmother’s house while she and the other children were inside and their parents were off somewhere. Good stuff. I Will Be There – Van Morrison (Saint Dominic’s Preview). I went deep down the rabbit hole on Van Morrison a few years ago (ten? geez) on discovering Astral Weeks, and picked up this album and a few others. Of course, nothing else is like Astral Weeks, but Van doing traditional blues is fantastic, even with the tossed off line “Gonna grab my suitcase, and my toothbrush, and my overcoat, and my underwear”! Pieces of Sky – Beth Orton (Comfort of Strangers). Beth Orton’s Central Reservation was on constant repeat for me for about a year, and the followup Daybreaker accompanied more than a few road trips, but her subsequent albums haven’t worked as well for me. This song might be an example of why: the production (courtesy Jim O’Rourke) has just the right amount of emotional restraint but she disappears into it, and the song feels unfinished—it ends too soon. Messe basse (Fauré): Sanctus – Choir of St. John’s College, Cambridge, George Guest conductor (Fauré: Requiem, Cantique de Jean Racine; Duruflé: Requiem, Quatre Motets). A brief movement for choir and organ from a lesser known Fauré work. He jointly composed a full mass setting with his pupil André Messager providing the Kyrie and the O Salutaris; the Fauré movements (Gloria, Sanctus, Agnus Dei) were subsequently published stand-alone as the Messe basse. It’s a brief but effective setting of the Sanctus for treble and alto voices with organ; I want to go back and listen to the rest. 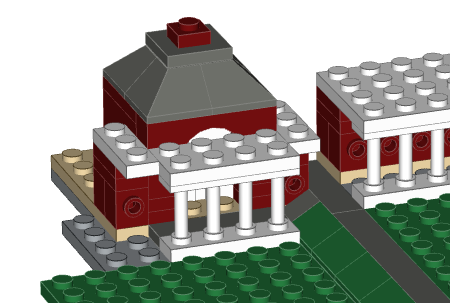 …that there are currently 20 different free, open source tools for creating and viewing LEGO models via CAD, or for “authoring” new parts to use in LEGO models. Welcome to my new time sink. Speaking of eight years in, I missed a day of posting yesterday due to the Veracode sales kickoff, so I’m going to do a two-fer today to make up. Pass the pipes, pass the bowl. With a skoal, with a skoal. And the great white cold walks abroad. Ha, ha we are warm, and we have our heart’s desire. And the cup is at the lip in the pledge of fellowship. I had always wondered about the tune, so did a little research. Turns out “The Winter Song” is a collegiate song, but it originally comes from Dartmouth, not Virginia. The poetry collection Dartmouth Lyrics prints the poem “Hanover Winter Song” by Richard Hovey, who in 1898 convinced his college friend Frederic Field Bullard to write the music. The tune lived on in Dartmouth fraternity singing, until that tradition died away, and in Dartmouth singing groups such as the Aires. But it took John Liepold to bring it to the University of Virginia, where it’s become a favorite of the Glee Club. Today is the eighth anniversary of my first day at Veracode. It’s something I don’t talk as much about here, primarily because it keeps me so busy that I can’t write here very much. But it’s interesting to step back and understand how much things have changed—and how much they haven’t. What has changed? Well, we were a tiny, scrappy little company when we started. But we just picked up senior sales and marketing leadership with pedigrees from RSA and Sophos, and we’re a lot bigger than we were eight years ago. It’s a fun day to be at Veracode, realizing just how rapidly we’ve grown. Rich Mogull of Securosis writing in TidBITS: Why Apple Defends Encryption. Great article summarizing the forces that drive Apple’s defense of encryption and resistance to introduction of a back door (briefly: their business model does not rely on compromising privacy, they understand that there is no such thing as a back door that cannot also be used by attackers, and it may be a personal issue for Tim Cook). Rich’s analysis, which I agree with, aligns with another recently published article about the disparity in ranged weapons adoption in Europe in the Middle Ages. The question: why did it take the French and Scots nearly a century to adopt the cheaper, easier, and more effective longbow, instead continuing to rely on the more challenging crossbow? Answer: precisely because those technologies were cheaper and easier to adopt, they were blocked by the rulers of less politically stable states, who feared arming citizens with the weapon might lead to revolution. Only in more politically stable England was the longbow adopted. There’s a clear analogy between restricting access to longbows and the current state desire to insert backdoors into consumer encrypted communications. What’s striking is the political difference in who’s doing the restrictions on crypto technology. It’s not just failed or unstable states (though there are plenty of those who seek to circumvent crypto), but also major global powers like the United States and India. I’m not sure whether that says more about the threat posed by crypto, or about the United States. Peter Gabriel: Peter and Sting Tour 2016. I am not the most rabid fan, any more, of either Peter Gabriel or Sting, the first decade of the 21st century helping to temper my enthusiasm for their projects. (See my 2006 review of Sting’s “Songs from the Labyrinth” and my note in 2010 on the “Scratch” project for examples of tempered enthusiasm.) But the fifteen year old boy in me wants to see these shows, very badly. Given where I am in my life almost thirty years after getting exposed to both artists, I think I owe it to myself, and them, to forgive them for aging, for losing the intensity and edge they had in their respective youths, and to see what they’ve found in its place. After all, God knows I’ve lost some intensity and edge too. 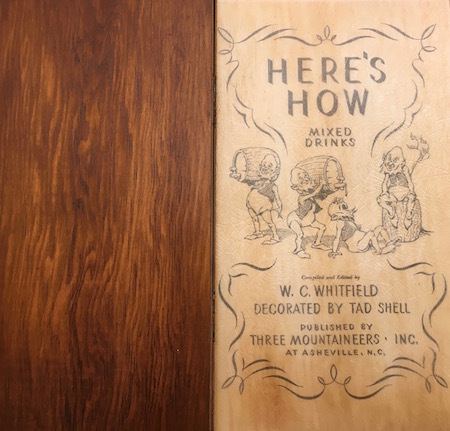 Inside front wooden cover and title page of Here’s How: Mixed Drinks, published in Asheville in 1941. As I learn more about the fine art of mixology, I’ve been slowly acquiring interesting cocktail books. As the books get better, so do their bibliographies, and so I’ve started to poke my nose into the rabbit hole of vintage cocktail books. A friend gave me a copy of the Dead Rabbit Drinks Manual—highly recommended even if you never make a drink in it for the thoroughness of the historic research and the slightly breathless biography of the NYC bar’s owner and bartender. In an aside, an early chapter mentions a punch recipe that was cited in a book called Here’s How, published by Three Mountaineers in Asheville, NC in 1941. A cocktail book published in Asheville? In 1941? Of course, Asheville had been a resort destination during the late 19th and early 20th centuries, but I had no inkling that it had a cocktail culture. But, one eBay acquisition later, I can attest that editor W.C. Whitfield knew his stuff. The hillbilly illustration and wood-and-leather binding aside, the contents are impeccable, with a brandy crusta recipe I will be trying this weekend, and three different variations on a mint julep. Out of the Box: Virginia Untold: Certificates of Importation. 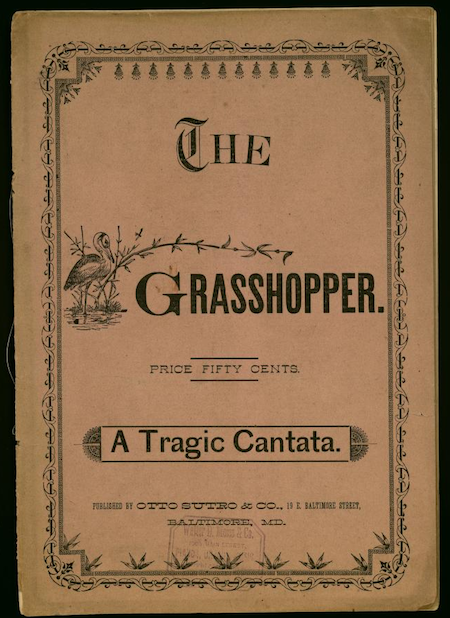 Out of the Box, the blog of the archives of the Library of Virginia, has consistently been one of my favorite reads for the windows it offers into the state – er, commonwealth – of my birth. And, honestly, into the past of our nation. Today’s post, by Greg Crawford, is a good illustration of why. What is both fascinating and revolting about the history of slavery (and its descendants, white supremacy and institutionalized racism) is the level of legal, statutory, bureaucratic, and judicial machinery required to keep the enslavement of human beings “orderly” and “civil.” The example in this post, certificates of importation, were a bureaucratic invention that sought to ensure compliance with the law barring importation of slaves for sale into Virginia. Said law was enacted in 1778, not for humanitarian reasons, but apparently to ensure that England and British ships would not profit from the slave trade during the Revolutionary War. An exception in the 1778 law permitted slave owners permanently relocating to Virginia to import their slaves to the commonwealth, provided they swore an oath that they did not intend to sell any of them. The oath became part of a legal document, the certificate of importation, that provided names, ages, and physical descriptions of the slaves, where they were acquired, and from where they were being relocated. The certificate was filed in court. (The Library of Virginia is in the process of digitizing these court documents, and they’ve made a spreadsheet of the digitized records.) If a slave was illegally brought into the commonwealth, they could sue for their freedom; the presence of the certificate of importation was a closed door to a slave seeking to escape an unfair master, but failure to file the paperwork gave the slave grounds to file a freedom suit. To summarize: slaves imported into Virginia had to have paperwork documented by a local magistrate containing an oath from their owner and filed in their county courthouse so that they were in compliance with a Revolutionary War era law preventing British profiteering, and the absence of such paperwork allowed a slave to sue for freedom. The amount of bureaucracy devoted to the peculiar institution, of which this is only a small piece, must have been completely mindboggling. And it gives me a renewed appreciation for the artifacts of history. The New Yorker: David Bowie and the Return of the Music Video. Good article that stops short of what it could have done, which is to point to the role that YouTube videos for ★ and “Lazarus” played in building anticipation for Bowie’s final album. Or, put another way, just watch these. After watching the video for the lead single, “Blackstar,” how could you not want more? And the video for “Lazarus” became, posthumously, the key piece in Bowie’s in-plain-sight revelation of his fatal illness. Honoring my New Year’s resolution—to get back on the daily blogging train—is hard. About eighteen months ago, I shifted roles at my day job from a position where I had a lot of daily/weekly meetings, a lot of realtime decisions that needed to be made, a position of high blood pressure and email overload, to a new role where I had to produce creatively. As in, write. I quickly learned that in the years in my old role, I had developed a sort of hyper-evolved ADD. The instinct to stay alert and always be on top of the latest thing that crossed my path served me very well in the old role, but it was a serious roadblock to getting any substantial work done. I practically had to isolate myself and make myself put on blinders so that I could get anything done at all. Getting back to daily blogging feels a little like undoing the work that I did to focus my attention. It’s not really that, but it does require some thought about when. I used to be able to cook along, have a thought, stop and blog it, and go on my business. Now if I don’t do it first thing in the morning it eats at my attention all day until I have to stop and get it done so I can get anything else done. This is very strange, and not at all what I thought would happen when I got back to daily blogging. Maybe it’s just what happens when I don’t have anything to write about? Writing yesterday was a lot easier….